I'm not sure if it's because of my recent scathing review of "Brazil", my "Ghost Stories for Christmas" series, or that I published a guest post, but I've lost three blog followers in the last week. I know that I'm not the greatest writer in the world, but give me a break here! At least I'm trying to come up with something in the midst of the horror famine. As much as I loathe trips to nostalgia-land even during this traditional time for reflection, and I don't want to compete with Kindertrauma which does it so much better, I know how you all love top ten lists, so here's something I knocked up as a bit of fun. Christmas is for kids anyway, but traumatising them is something that can be done all year long. 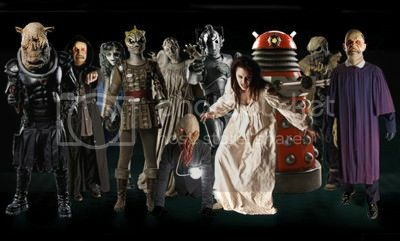 I'm too old now to be scared by any of the current "Doctor Who" monsters, but there are still several of them which I wouldn't want to meet down a dark alley. When I was a child, it was a different story. I was absolutely terrified of the Cybermen for some reason, I think it has more to do with what is involved in their creation than their really cool appearance, but I do remember an episode where Adric's gold star was crushed into the respirator of one of them which gave me the heebies all the way through. Sontarans, Davros, and even the Master (when he was all bubbly and rotting) also gave me enough reasons to soil myself. 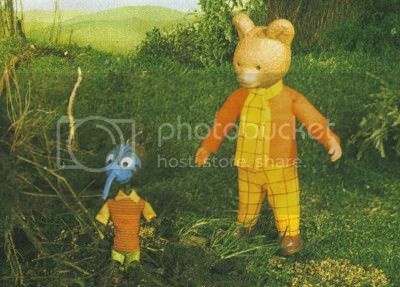 To this day, anyone unfortunate enough to look a bit squishy in real life just creeps me out. The whole thing was just weird, but the little birdy-creature called Raggety used to freak me right out especially when just its head appeared during the opening titles. This and the lenticular World Wildlife Fund card I had of an aye-aye made me wet the bed more than once. 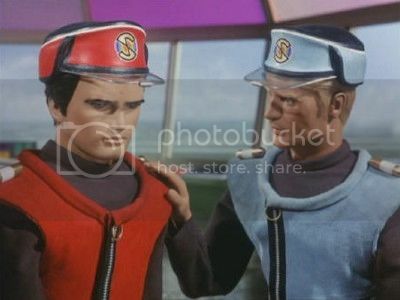 Puppets are scary anyway, but don't go thinking that it was the "supermarionation" or even the zombified Captain Black who upset me. No, it was the voice of the Mysterons at the beginning which had me screaming like a 3 year old. It was probably a good job that I was a 3 year old at the time or I would have been really embarrassed. 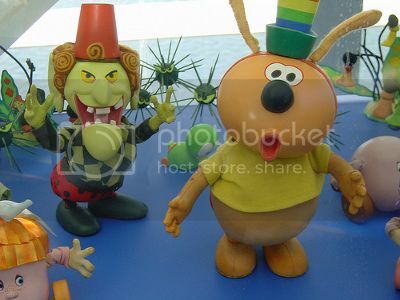 I wasn't even born when this was made, so damn you ITV for showing re-runs! Fenella the Welsh witch. 'Nuff said. Looking back on it, I think the whole thing was dodgy, and I still don't know what the Hell was going on in any of the episodes. Surrealism and talking dog-things bother me. I think Chorlton was supposed to be a dragon, but it's hard to tell when you are crying with fear. I have no idea what this ITV drama was about other than Aztecs because I never made it through the opening sequence with all the screaming and skulls to be able to find out. I'll have to watch it eventually because now I know that Diane Keen was in it, and I had a huge crush on her. 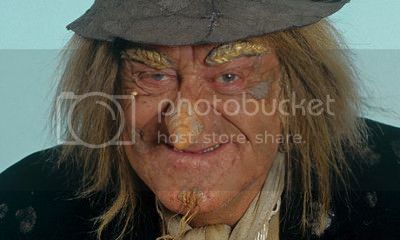 Given his appearance, you would think that a living scarecrow was the most terrifying thing possible, but I liked Jon Pertwee and didn't find him scary at all. Much more sinister was The Crowman played by Geoffrey Bayldon who looked like a Victorian undertaker. 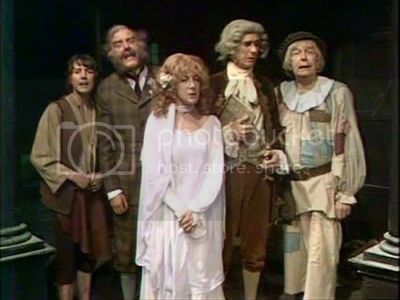 I couldn't even bring myself to lust over Una Stubbs as Aunt Sally if The Crowman appeared in an episode. 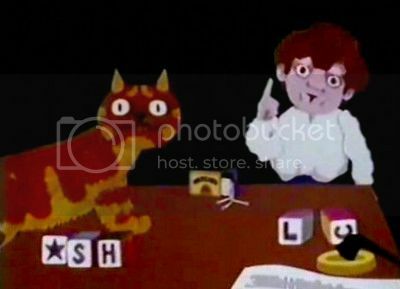 As a Public Information Film, "Charley Says" was supposed to put the fear of God into kids anyway, but what really horrified me was the little boy, his scratchy voice, and... ugh... the terrible things which happened to Charley the cat. Another often repeated Public Information Film which you just have to watch on YouTube at some point to understand the trauma that it caused a whole generation. 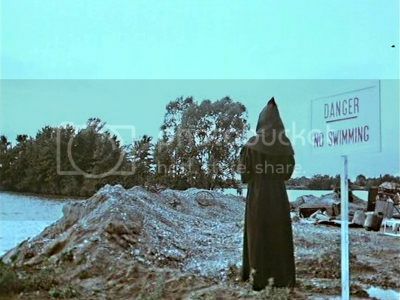 The combination of a menacing black-robed figure and the chilling voiceover from Donald Pleasence made sure that kids never went near water again. Yes, we all stunk! I know it was meant to be a comedy, but the opening titles and music set the scene for something potentially a lot worse than Arthur English's jokes. Finally, not a TV show but a commercial that used to appear when people least expected it. 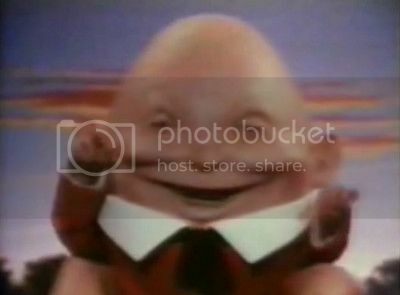 Even though I was old enough to not be terrified, I'm sure the Humpty Dumpty from the Kinder Surprise adverts damaged some people. I used to do impersonations of "The Kinder Man" at school because I thought it was cool. Maybe it was my way of compensating since he was almost a Sontaran. 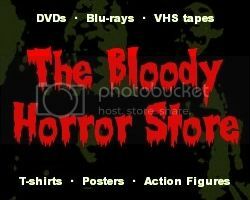 What did you see on TV that freaked you out when you were a kid?